Did you Know, you can earn EYA donations by your Amazon purchases? 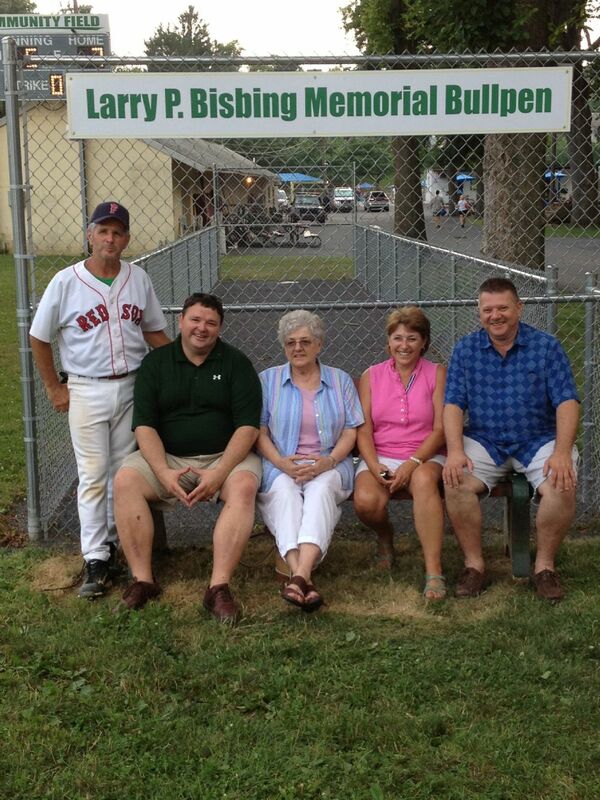 On July 20th, during Community day 2013, the bull pens at Community Field were dedicated to Larry P. Bisbing. Larry was involved with EYA/Legion baseball for many years spending countless hours with the youth at Community Park. In memory of long time coach and board member of the EYA, two new bull pens were installed in his memory. Pictured are his family that attended the ceremony. 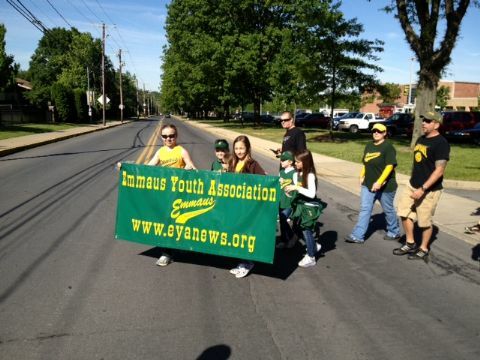 A special Thanks to everyone that came out and marched in the parade today! 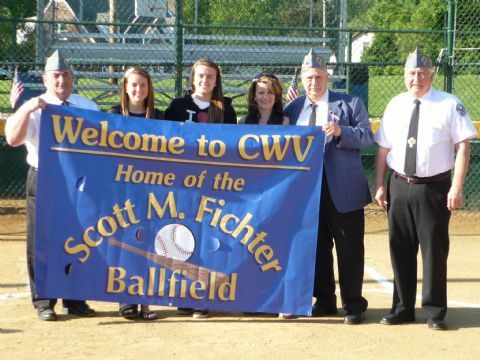 EYA would like to thank the Catholic War Veteran's Post 1067 for dedicating their ball field in memory of long time President and softball coach, Scott Fichter. May he always be remembered in a place he loved to be!